The Sig Sauer M400 Sight Read Platform is a semi-automatic rifle designed for tactical, hunting, along with competitive shooting purposes. 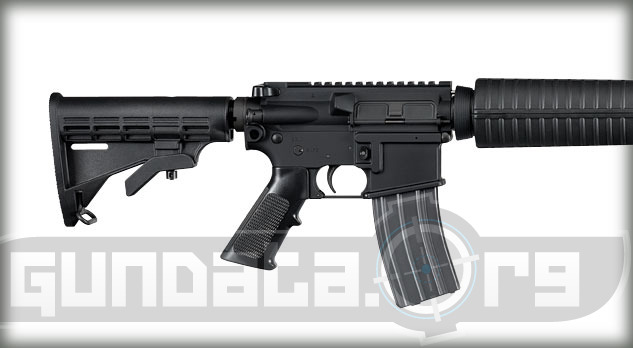 It is based off the military M4 design with a few changes and different features. The M400 SRP has a M1913 Picatinny sight and front sight rail for mounting a tactical prismatic scope or red dot scope and a tactical flip up front sight. It is a direct impingement gas operation system with a locking bolt. It has a 16-inch chrome lined phosphate coated barrel to help ensure it does not corrode. The lower receiver is aluminum forged with 7075-T6 aircraft grade aluminum. 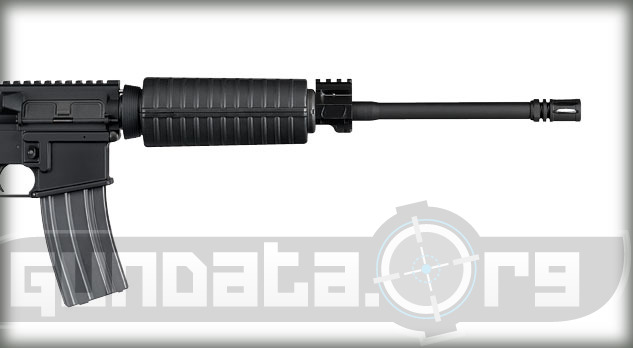 The overall length of the M400 SRP is 32.3-inches when the stock is retracted, and 35.6-inches when the stock is fully extended. The barrel is 16-inches long with a 7 in 1 inch twist and an A2 flash suppressor. It holds aluminum AR-15 style 30-round magazines that hold 5.56 x 45mm NATO (.223 caliber) ammunition. The trigger pull is approximately 7.6-pounds of pressure. It has a black polymer for-end, black hard coat anodized upper and lower receiver, along with a 6-position black telescope stock.